Steve Pistorius has much to teach us — not only from the keyboard, but about the many stops on the larger journey. Here, at Duke Heitger’s Steamboat Stomp, he gave two small but telling evocations of the moods of Love. Fellow faculty were Duke, trumpet; Tom Fischer, tenor saxophone; Orange Kellin, clarinet; John Gill, banjo; Tom Saunders, tuba; Jeff Hamilton, drums. It’s all true. We’ve lived through these stages, no? But happier news awaits. 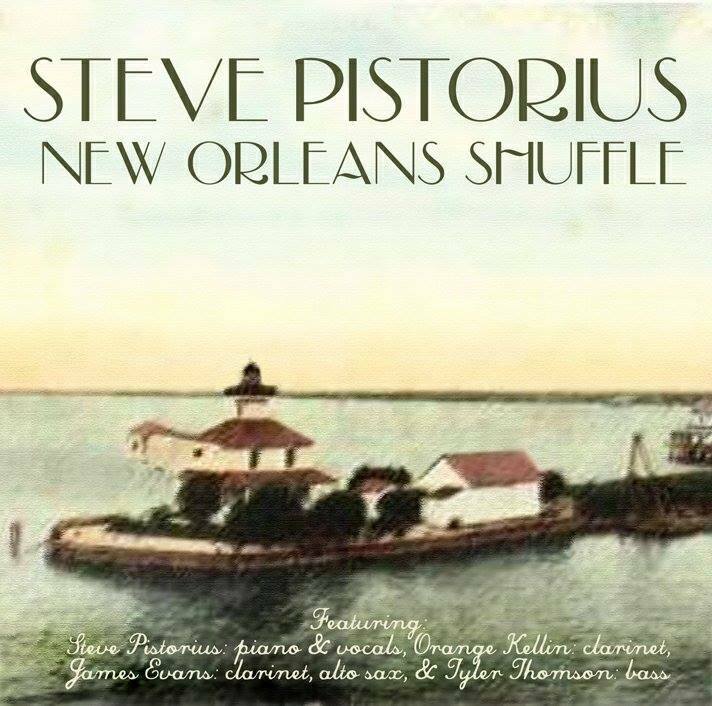 Steve, Orange, reedman James Evans, and string bass wizard Tyler Thomson have created a new CD — NEW ORLEANS SHUFFLE — which has been spinning perpetually in the JAZZ LIVES player. I will have more news of this shortly.